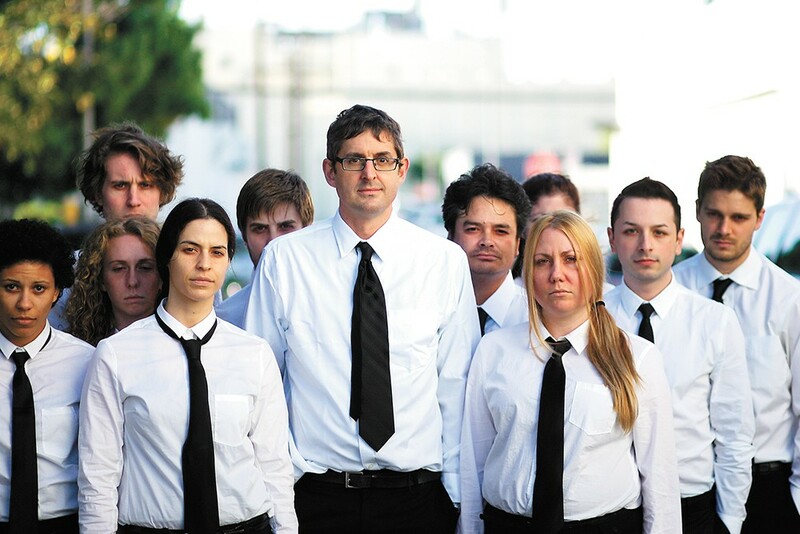 What could the Church of Scientology possibly be hiding from Louis Theroux? So much of what we know about the Church of Scientology comes from the often horrifying secondhand accounts of those who have fled the organization and want to blow the lid off of it. That's what makes it such a fascinating subject for tell-alls: The church's leader, David Miscavige, has been portrayed by detractors as abusive and his followers as hostages, and although a number of testimonials have corroborated that, so many of the church's inner workings remain mere conjecture. At the start of his new investigative documentary My Scientology Movie, British TV journalist Louis Theroux says he wants to approach Scientology from a new angle. He's going to dig into the controversial religion founded by sci-fi author L. Ron Hubbard, but is doing so with the hope of finding something positive to divulge. No such luck. Like a British Michael Moore, Theroux puts himself front and center, serving as narrator and host of the film. (John Dower, who has also worked for years in British TV, directed the movie; Theroux gets a "presented by" credit.) He's also channeling Moore's style of "gotcha" reporting, showing up unannounced to generally restricted places while waving a shooting permit over his head. The difference here is that the organization he's aiming to infiltrate soon retaliates, sending lackeys to photograph him and his crew from safe distances. If Theroux is the star of My Scientology Movie, then Marty Rathbun deserves second billing. He was Miscavige's right-hand man for years (his title was "Inspector General"), abandoning the church in 2004 after his relationship with Miscavige deteriorated. He's a fascinating contradiction: Even though he's now one of Scientology's most vocal critics, he was no doubt complicit in many of Miscavige's supposed abuses. Rathbun was also prominently featured in Alex Gibney's comprehensive 2015 Scientology documentary Going Clear, but Theroux uses him as more than just a talking head. He functions as something of a technical adviser on the film, guiding Theroux through some of the church's more bizarre rituals. He's also involved in the movie's oddest narrative conceit, which has Theroux auditioning actors to play both Miscavige and Tom Cruise, the world's most famous Scientologist, in a dramatic re-creation that will close the film. Theroux tries to justify these sequences by linking the tenets of Scientology with the fundamentals of performing, which is perhaps why so many actors have joined its ranks. It's an interesting idea, but the build-up to that scripted scene — a Miscavige surrogate assaults a roomful of "followers" while the real Rathbun looks on — feels too much like a gimmick. I sort of wish that, rather than indulging in what feel like self-reflexive exercises, Theroux was instead talking to other ex-Scientologists, who provide the film with its most damning and chilling material. My Scientology Movie is not showing in any theaters in the area.